Search Engine Optimization or SEO is a process of affecting the online visibility of a website or a web page in a web search engine like Google. As an Internet Marketing Strategy, SEO considers how search engines work, the computer programmed algorithms which dictate search engine behavior, what people search for, the actual search terms or keywords typed into search engines, and which search engines are preferred by their targeted audience. Optimizing a website may involve editing its content, adding content, doing HTML, and associated coding to both increase its relevance to specific keywords and to remove barriers to the indexing activities of search engines. Promoting a site to increase the number of back links, or inbound links, is another SEO tactic. XPRO Solutions is also a search engine optimization company committed to achieving high rankings and high traffic for our customers. We believe “If you don’t succeed, then we don’t succeed”. 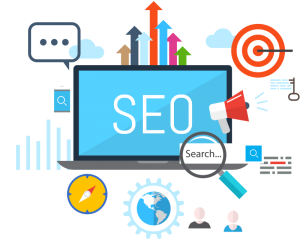 Hence we comprise an expert SEO team of professionals, who are committed in making your business grow by giving you top visibility on the search engine results pages. Search engines provide businesses with many influential channels that can increase online visibility and deliver targeted traffic to your website. We mainly focus on search engine marketing and search engine-related advertising and promotion. As an IT company, we consult and implement the SEO Services that covers a key strategy in Digital Marketing. This includes re-designing of your website, SEO Services, Online Reputation Management to developing online applications to engage your customers. © 2018 Xpro Solutions. All Rights Reserved.